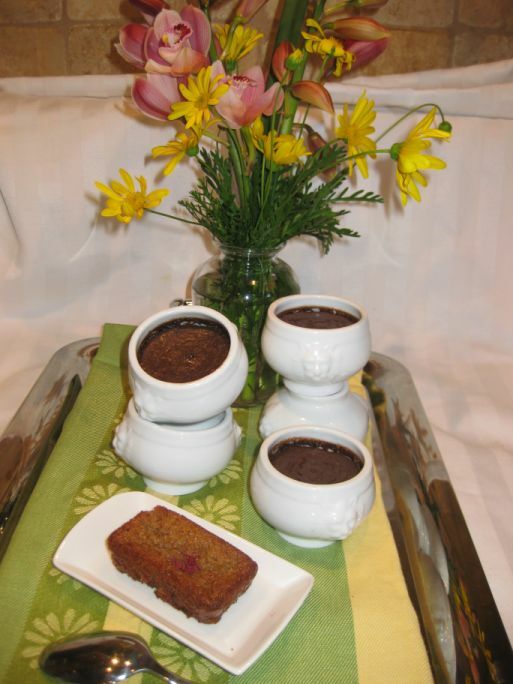 If you like Rum this dessert is for you! 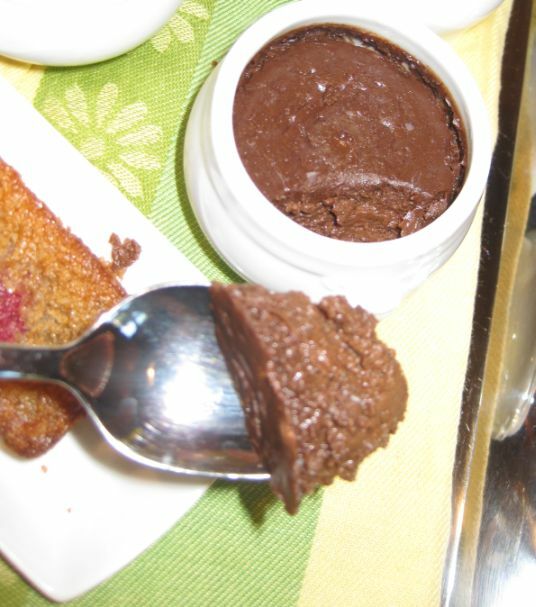 Wow the taste of the rum in these chocolate pots de crème is pretty pronounced. I simply love them! 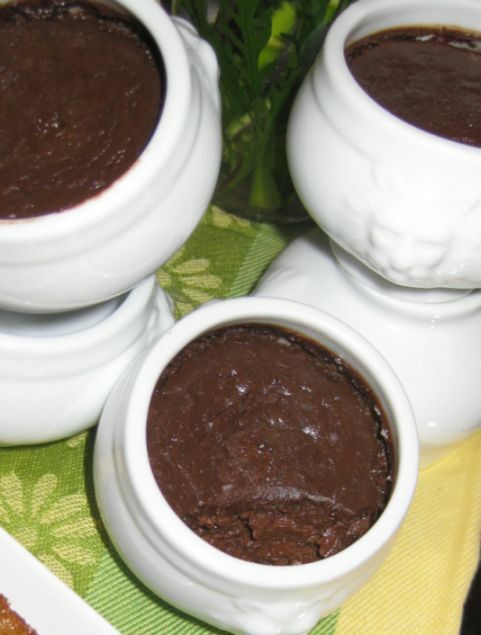 Pots de crème are so simple to make and they are like comfort food, once you take the first bite you are completely satisfy. I paired the pots de crème with Financiers. Absolutely delicious! 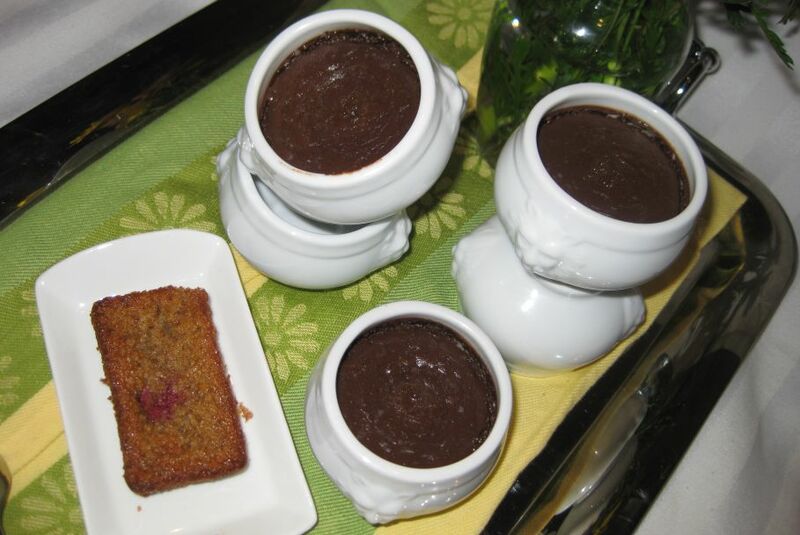 Hoa and I we have been eating these little pots de crème for the last few days and I have to say they are fantastic! The Financiers are so good freshly out of the oven and they are perfect paired with the rich and creamy pots de crème! 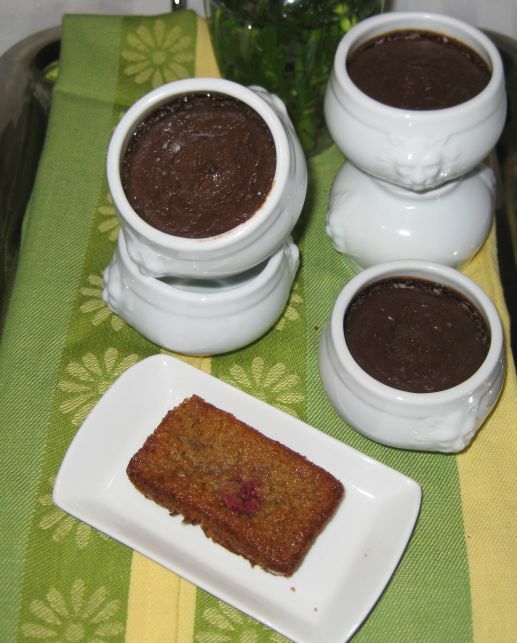 Close up look at pots de crème and Financiers. 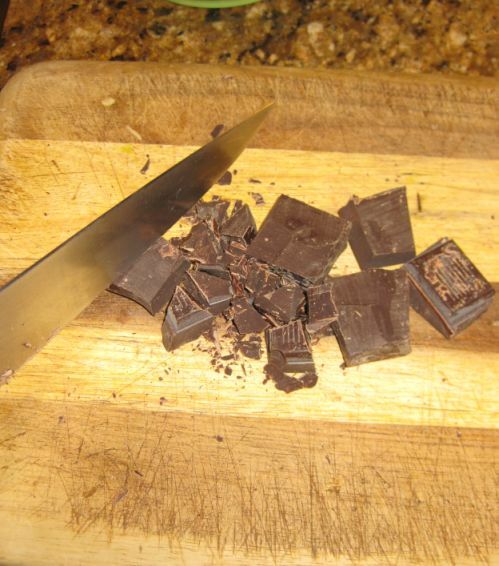 Chop the chocolate into small pieces and put it in a large bowl. 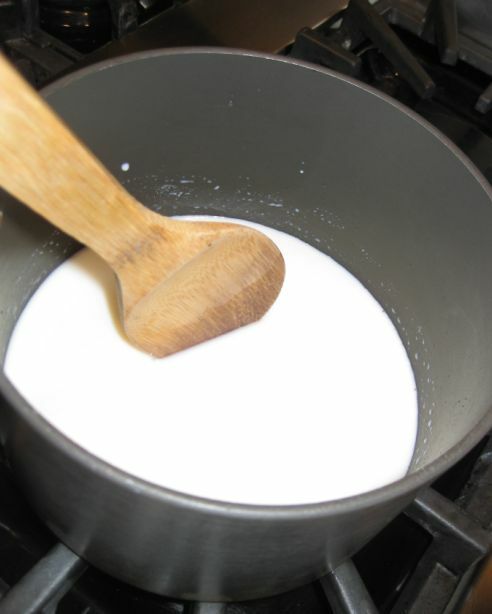 Pour the milk, rum, sugar, and 2 tablespoon in a saucepan. 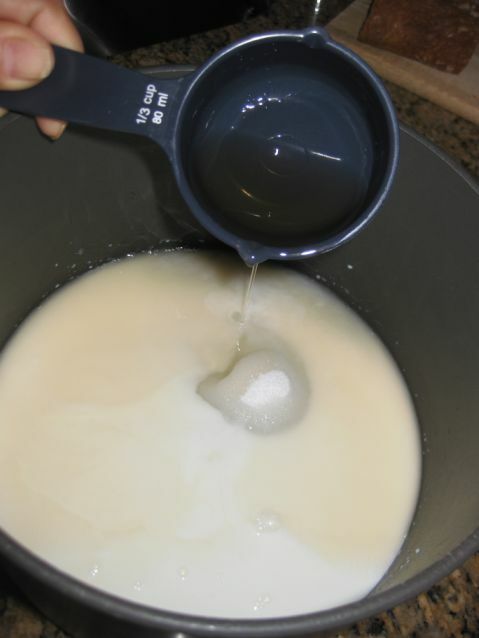 Stir the mixture and bring it to a boil. 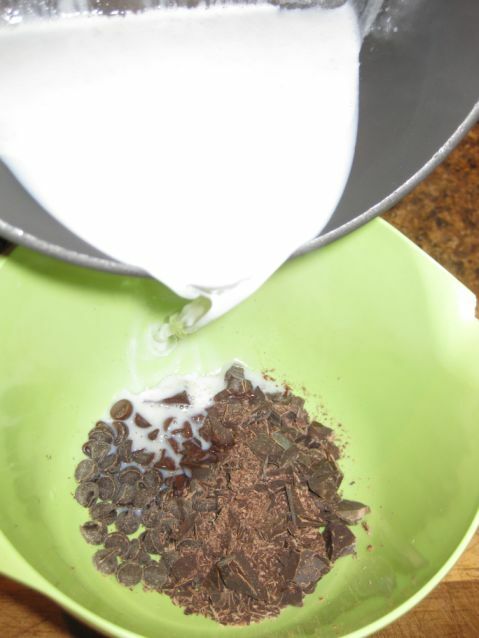 Pour the hot milk over the chocolate. 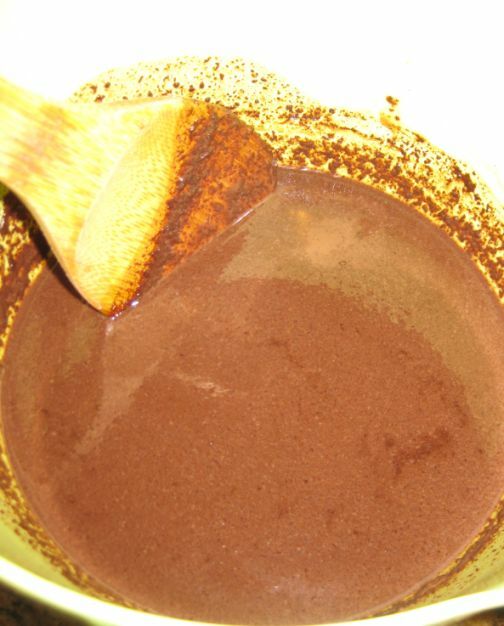 Using a spatula, gently stir until the chocolate is melted and smooth. Cool to room temperature. 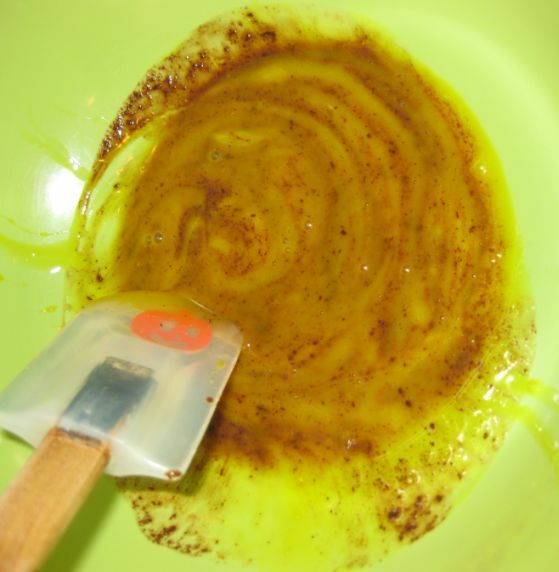 Put the 4 egg yolks inside a bowl and beat it lightly. 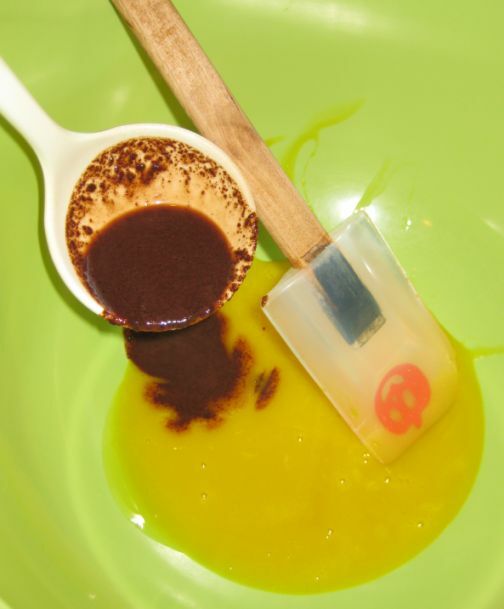 Pour gently a bit of the chocolate mixture into the egg yolks. 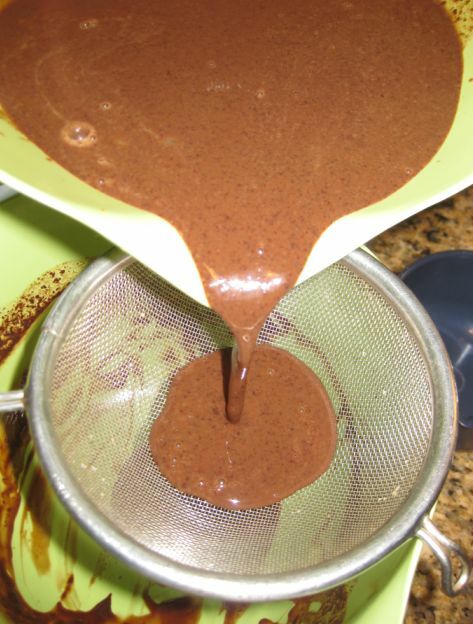 Strain through a fine mesh sieve set over a bowl. 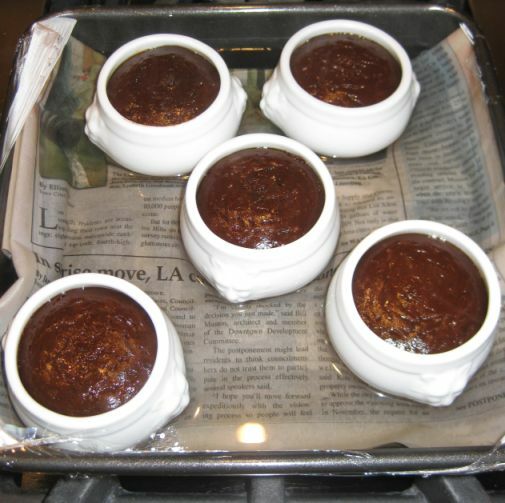 Place five 4 ounce ramekins and fill each cup almost to the top. 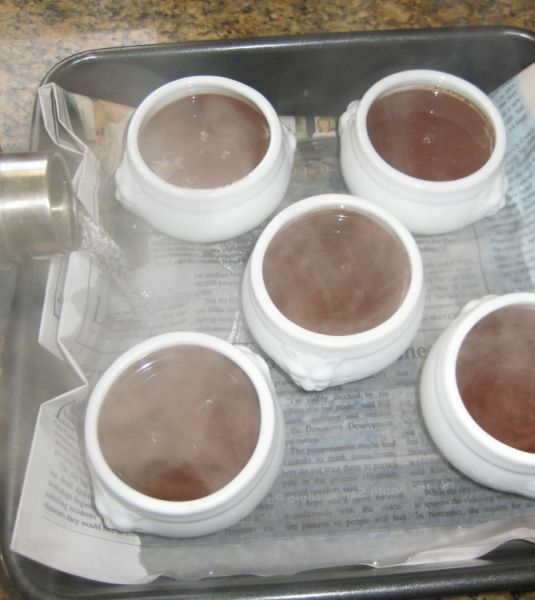 Boil water and pour it in pan lined with newspaper and put the ramekins inside the pan. 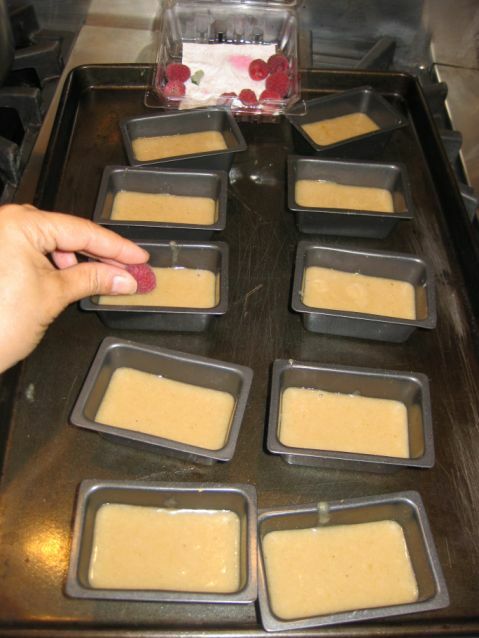 cover the pan with plastic wrap and put it a pre-heated oven at 350 Degrees for 30 minutes. Freshly out of the oven. 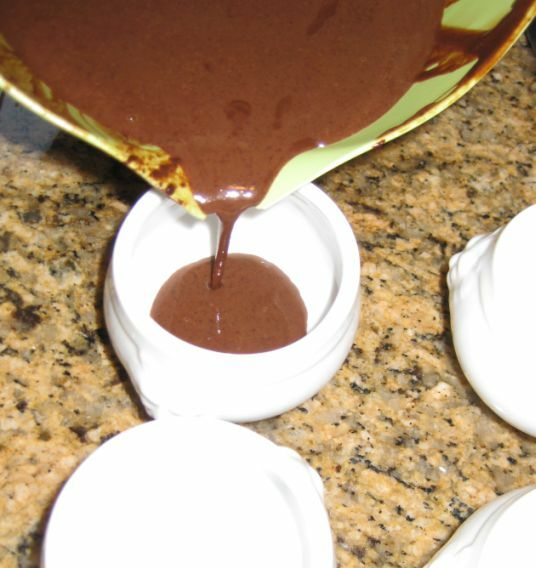 Peel off the plastic wrap and lift out the cups out of the water. Let them cool off and refrigerate them. 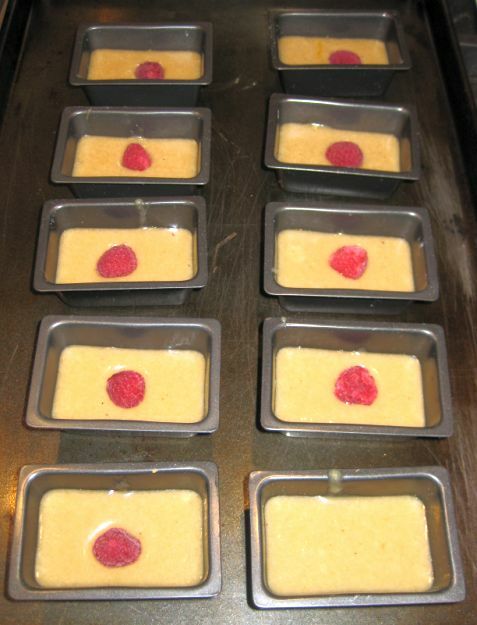 Preheat oven at 375 degrees and put the financiers in the oven for 10 to 12 minutes. Remove them from the oven. 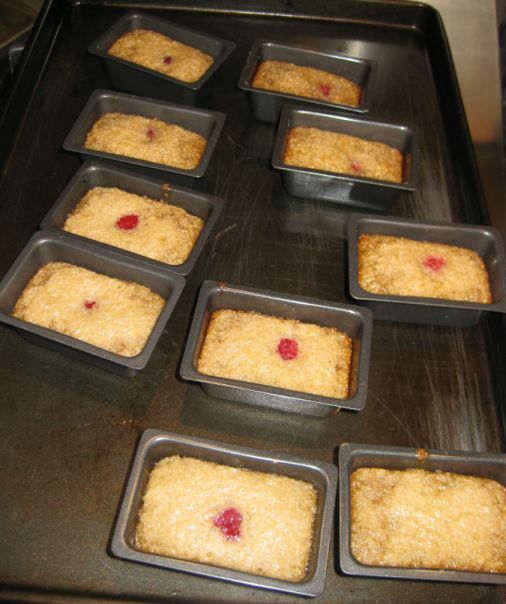 Let them cold down in the molds and gently lift the financiers out.